All In The Best Possible Taste! 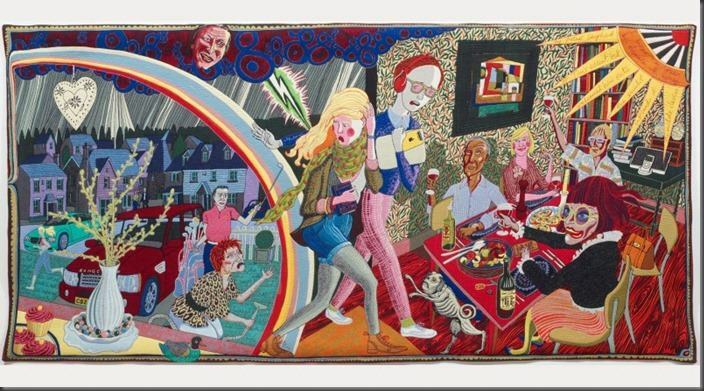 Dine were proud to sponsor the launch of Grayson Perry’s celebrated ‘The Vanity of Small Differences’ exhibition at Temple Newsam, Leeds. 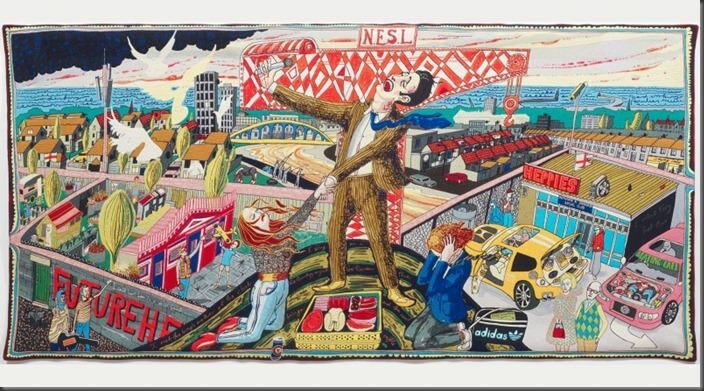 The installation is an exhibition of six tapestries created during the BAFTA winning Channel 4 documentary series ‘All in the Best Possible Taste’ by Turner Prize-winning artist Grayson Perry. Leed’s City Council’s event page explains that: “The Vanity of Small Differences’ tells a story of twenty-first century social mobility through the fictional character, Tim Rakewell and explore Perry’s fascination with British taste. 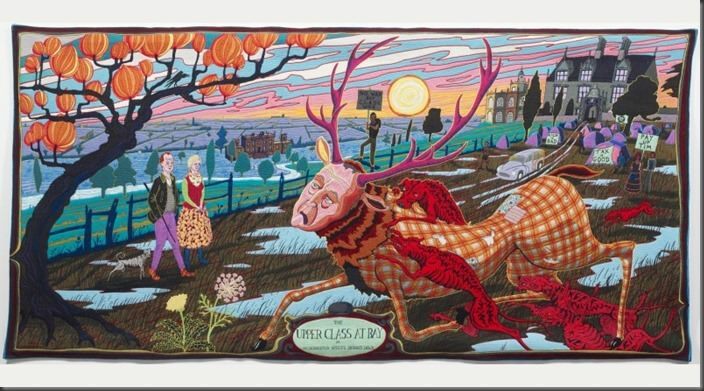 Perry’s tapestries make direct reference to ‘A Rake’s Progress’ by William Hogarth (1697-1764), the work of Hogarth has long been an influence on Perry’s work. This is the first time that the works have been displayed in situ at a stately home and much thought has been put into the significance of the relationship between the content of the works and existing wallpapers and other artefacts. Dine are used to working with museums and galleries and along with other sponsors such as Channel 4, Stewart’s Law and The National Arts Fund are proud to support this latest important installation before the exhibition commences it’s World tour. At the launch, we served drinks and canapés to over 300. 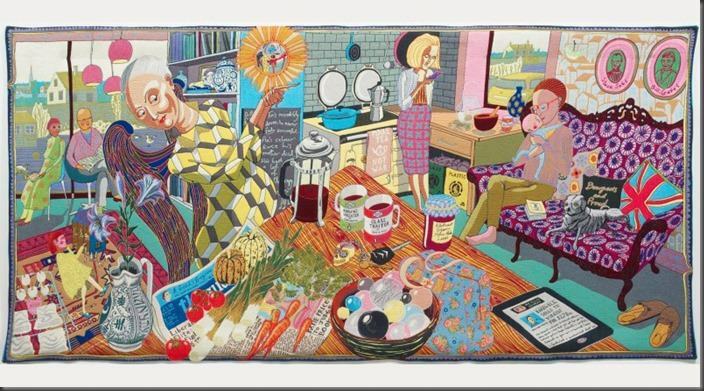 Service took place from innovative iPad trays, which displayed likenesses of Perry’s works, and the menu was specially tailored to reflect the diverse social context of the subject matter. Some intentionally kitsch touches includes mini prawn cocktails in tiny martini glasses and the addition of retro cocktail umbrellas to beverages. Entrance to the exhibition is free with usual admission to the house.